Fun fact about our editor, Nafeesa: she was born and raised in Jersey City and can often be found enjoying a cocktail (for blog research) and lively conversation at one of the bars in the city's historic downtown area. 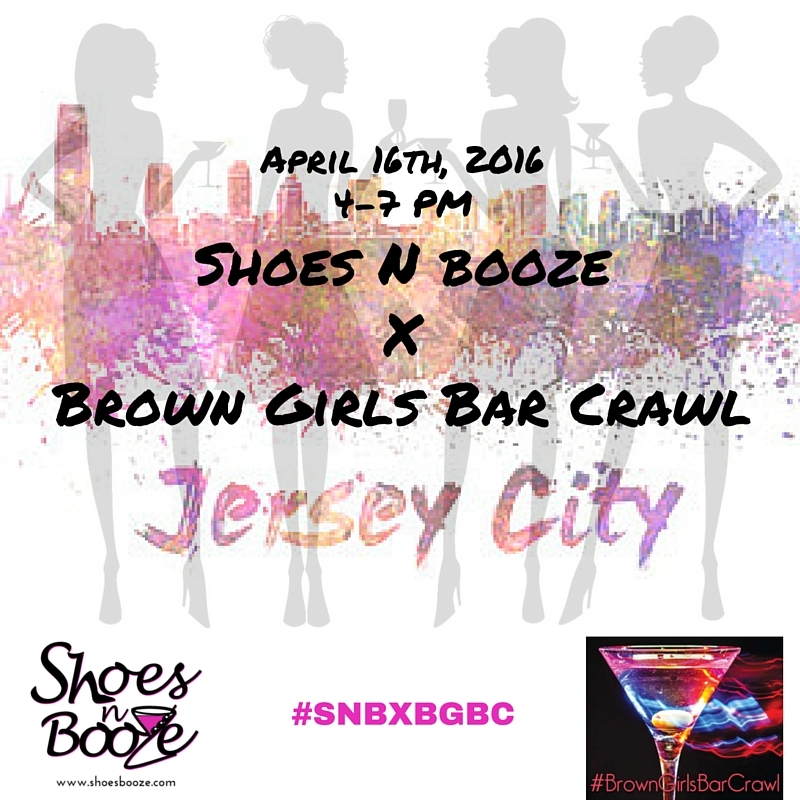 A week from today, Shoes N Booze will partner with Brown Girls Bar Crawl to bring a new crowd to some of Nafeesa's favorite spots. From 4-7 PM on April 16th, the group will enjoy a curated selection of discounted and complimentary drinks and bar snacks, starting at Park and Sixth, stopping at Roman Nose and LITM and ending at the Draper. Check out the Brown Girls Bar Crawl Meetup group (they ALWAYS have something fun and fly going on), and then visit the event's Eventbrite to purchase your $15 ticket.